As National Director of Community, Yasmin leads our work in organizing and mobilizing partners in making meaningful progress against their own commitments and against the myriad systemic challenges that stand in the way of our goal of 100,000 excellent STEM teachers. 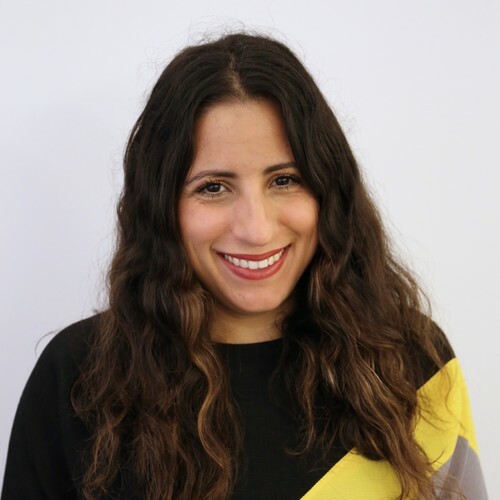 Yasmin’s career has focused on helping organizations solve pressing public problems in creative ways, working at the intersection of human-centered design, innovation, audience engagement, and change management. Yasmin has previously served as a Community Organizer with Green Corps, an Information Officer at the NYC Department of Education’s Office of the Arts and Special Projects, a Senior Strategist at GOODcorps, and most recently as the founder of BYO projects, a consultancy that uses design and technology to help organizations better engage with and serve their constituents. She has a BA in Government from Cornell University and a Masters in Public Policy from Harvard University. In addition to her work at 100Kin10, she is also an Adjunct Professor at NYU Wagner, where she teaches Digital Innovation Lab, a masters-level course she designed to help future public servants enhance their ability to solve public problems with digital technology. What most inspires you about the 100Kin10 network? 100Kin10 recognizes that a top-down approach to the challenges facing STEM teaching won’t work. Change has to come from the trenches. It has to be widespread. And it has to be voluntary. The 100Kin10 network represents partners who are committed to this type of change, and their commitment gives me hope that we can solve the wicked problems standing in our way, ensuring that all kids get access to the STEM teaching and learning they need and deserve.